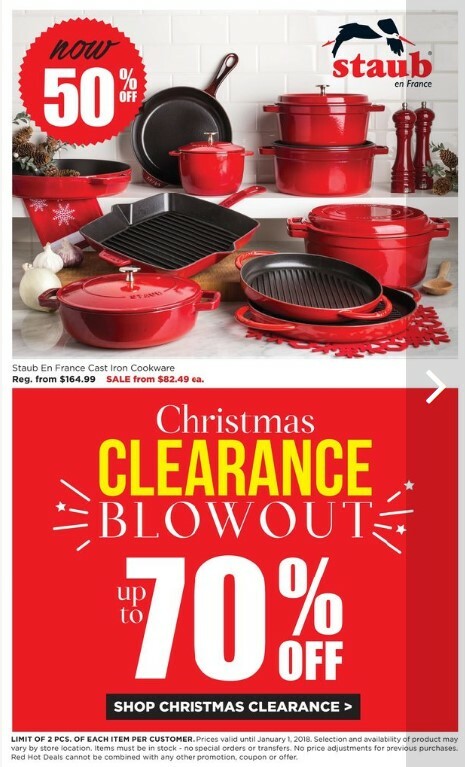 Kitchen Stuff Plus Flyer Boxing Week Red Hot Deals December 26, 2017 - January 1, 2017 ~ Starbasix Non-Stick frypan reg. 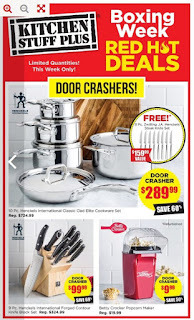 $39.99 Door Crasher price $9.99 save 75%, 3PC Bodum Brazil coffee set Reg. 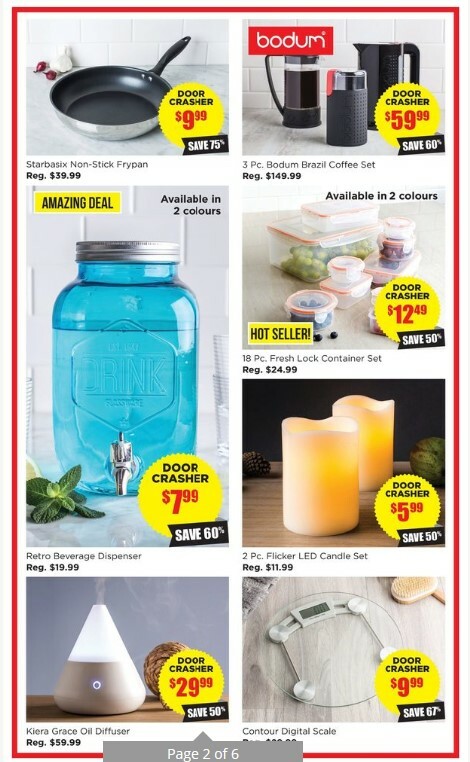 $149.99 Door crasher $59.99 save 60%, Amazing Deal Available in 2 colours door crasher $7.99 save 60% Retro beverage dispenser reg. 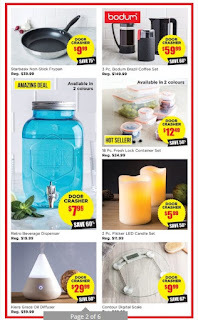 $19.99, Hot seller 18 pc fresh lock container set reg. $24.99 door crasher $12.49 save 50%. Bodum bistro coffee maker reg. 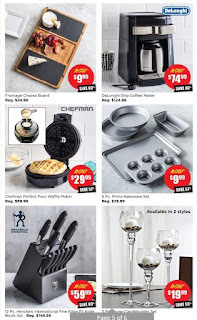 $199.99 now $99.99 save 50%, Cuisinart Espresso machine reg. $279.99 now $139.99 save 50%, Russell hobbs jug kettle reg. $49.99 now $24.99 save 50%. Fromage cheese board reg. 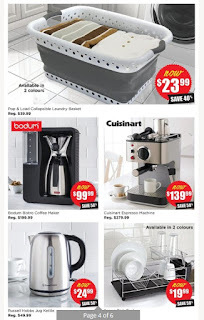 $24.99 now $9.99 save 60%, DeLonghi Drip Coffee maker reg. 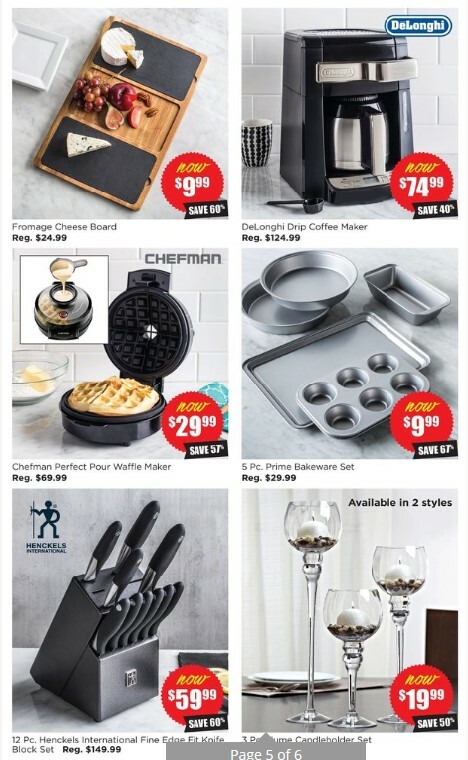 $124.99Now $74.99 save 40%, Chefman perfect pour waffle maker reg. $69.99 now $29.99 save 57%, 5Pc. 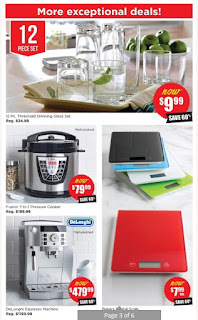 Prime bakeware set reg. $29.99 now $9.99 save 67%, Also get 12 pc. henckels international fine edge fit knife block set reg. $149.99 now $59.99 save 60%, 3PC illume candleholder set reg. $39.99 now $19.99 save 50% available in 2 styles.